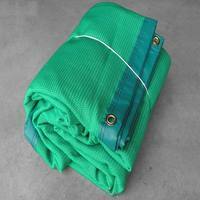 Highly durable 60ft baseball batting cage net in two pieces. The best protection for your players and surroundings during training. 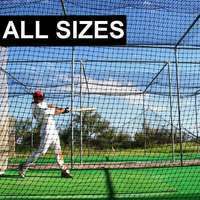 Select your netting weight, width and height. 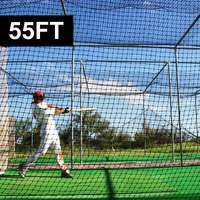 All grades of Fortress baseball batting cage nets are constructed from rugged high-density polypropylene to contain the most fearsome hits. 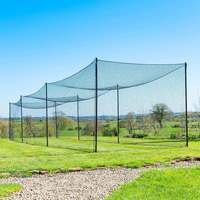 Our 5-year guarantee on all Fortress baseball nets covers the high-quality materials and workmanship for your peace of mind. 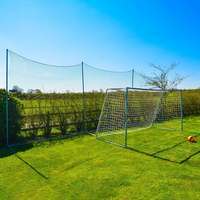 With quick application to your cage, wires or poles, you can protect your surroundings and focus on belting big flies in a fully enclosed cage. 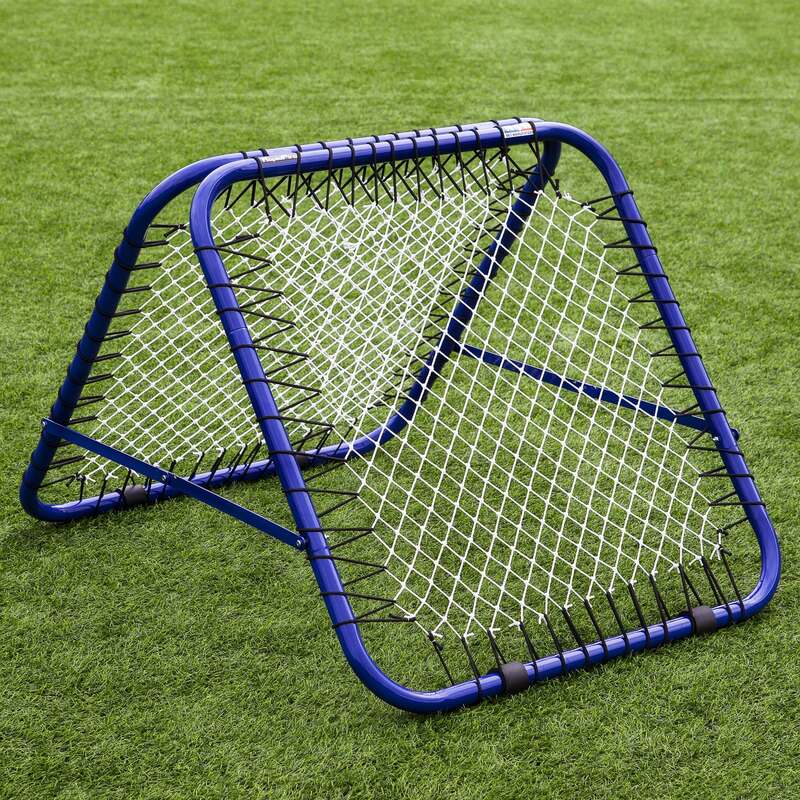 Fortress baseball batting cage nets are sure to catalyze the development of your hitters and pitchers. 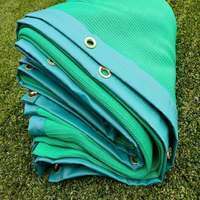 Our high quality netting is UV treated to create a 100% waterproof seal that can withstand direct sunlight of the highest intensity, allowing your team to train indoors or outdoors, without the need to put up and take down your netting. 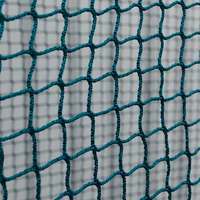 Engineered using the strongest HDPP twine makes our netting more than a match for your players’ biggest belters and most fearsome fastballs without the risk of the netting breaking and damaging surroundings. 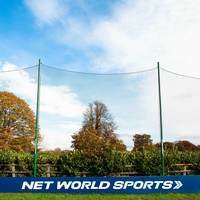 The flexible, soft multi-filament twine used on Fortress two-piece baseball batting cage nets enable application to fixed wires, poles or batting cage frames, without compromising on durability and strength. 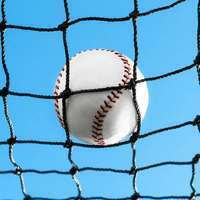 Our extensive collection of baseball netting is the bedrock of our baseball equipment, and is a vital tool used by professional, entry-level and amateur players and teams all over the world. 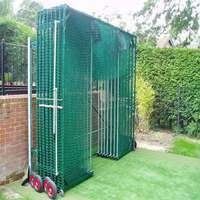 Rejuvenate an old batting cage or create a bespoke cage for your requirements, put the hours in and reap the rewards as your batting average multiplies! If you’re willing to work hard, Fortress can provide the right equipment you need to evolve into a World Series contender, at fantastically affordable prices. 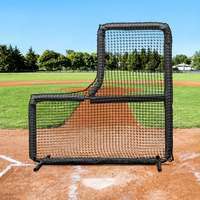 Transform your backyard or baseball field from a wasteland to your own field of dreams with baseball hitting mats, pitching screens and more. 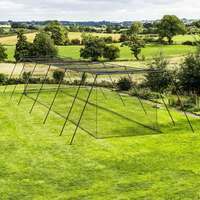 With same-day dispatch on almost all of our items, you’ll be swinging for the fences in no time at all! 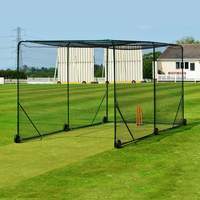 Hi Joel, you can choose to purchase full cages, this includes the post and netting systems, these are within the link below. If you have any queries please do get back to us. How does the roof tie to sides?? What does it mean by “2 piece”?